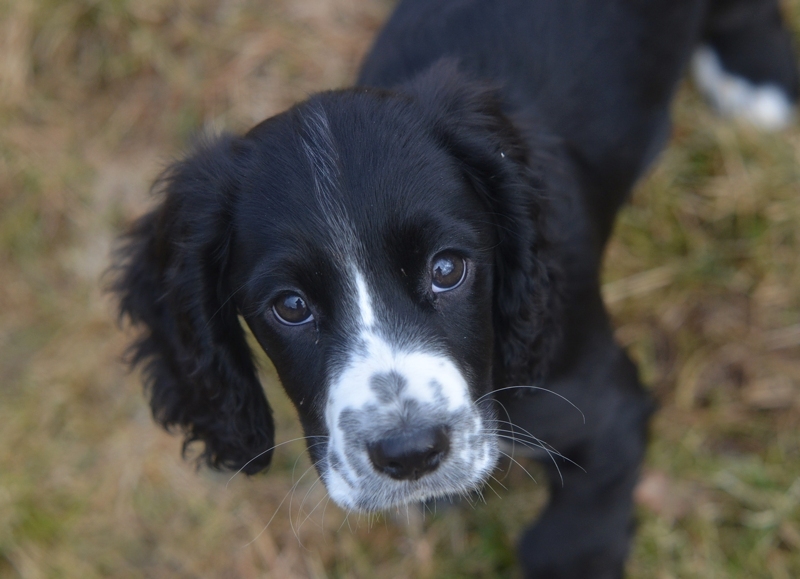 Time to introduce Fidget – Thomas’ new cocker puppy. She’s 12 weeks old and has lived here for a couple of weeks, although it feels like much longer. Fidget is a working cocker spaniel and will be a field trial dog just like Kat, who turned four in March. Kat and Fidget are not related, but I think they have a lot in common as puppies. Fidget is mostly calm and quiet in the house, sometimes playing with the young border collies like Nicks or Bud. She likes to come along when we move around the house, but will stay in a room and sleep if she’s not allowed to follow. She is really good at going to sleep when she needs to, and we don’t need to confine her in any way. Just give her something soft to sleep on and she’ll go to sleep when she’s tired. She’s very happy that she can get on the sofa on her own now. Border collies sleep anywhere, cockers wants it ore comfortable!